Opened in 1960, Mount Brighton is going to become one of your favorite places in the winter if you love snowsports. However, you should know that this particular hill is man-made, but do not allow that to put you off giving it a shot. The ‘resort’ has a total of 25 different runs for you to check out, and the longest measures some 1,350ft which is more than enough for you to get up some momentum. There are also various chairlifts to get you around the mountain and there is little doubt that you will have a pretty amazing time while you are there. The snow that appears there is pretty much always artificial, but on the other hand it does mean that you can enjoy everything for longer periods of time. You will also notice that they have different options when it comes to obstacles and jumps, so you will not only have fun if you are a skier or snowboarder but also if you are into freestyle as well. The total area covered by the runs comes to 130 acres and this is going to provide you with way more space than you are going to find necessary. They have also made sure that there are runs for those just starting out and trying to learn to either ski or snowboard, but the experts are also well catered for. This all basically runs along the same lines as your typical snow resort, and there are more than enough facilities for everybody. It is quickly apparent that this is a resort that is very well run indeed and it has got better since it was sold in 2012 with more runs and everything else being improved to an impressive standard. 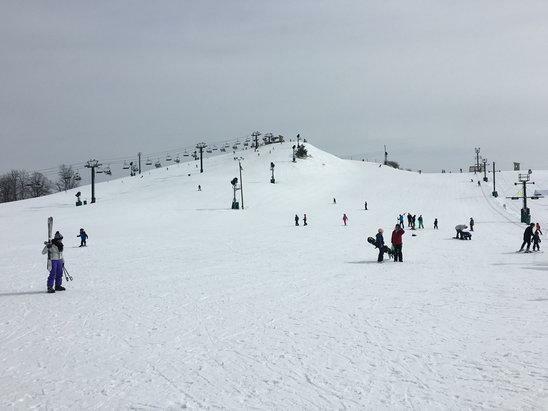 Mount Brighton is one of those places that you just seriously need to check out if you are the kind of individual that loves snowsports or even if you just want to try it out for the first time. There is no doubt that they will be able to accommodate you no matter what your situation may be, and with them keeping costs down as low as possible, this is also going to prove to be a rather affordable hobby for you to take up.